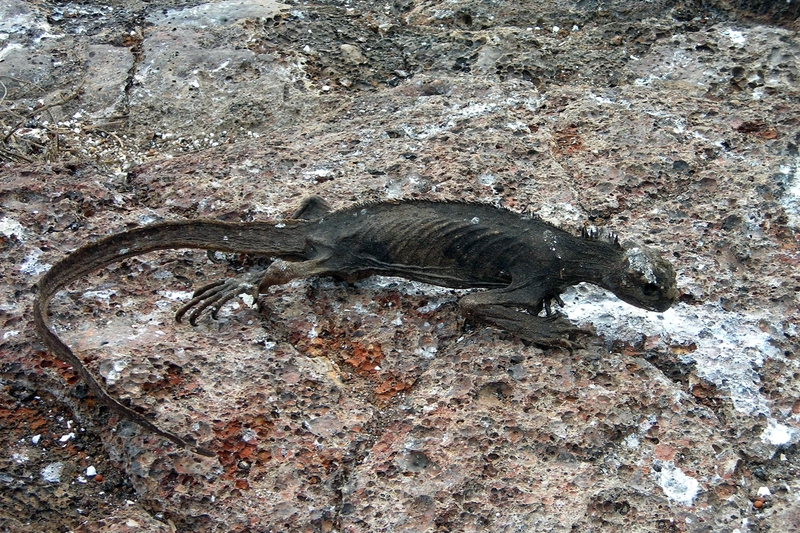 This desiccated marine iguana skeleton was kind of a creepy thing to see on the rocks of Genovesa. Definitely a reminder of the cycle of life on the Galápagos. Marie iguanas depend on the cool, nutrient-rich waters brought to the islands by the Humboldt current for their food (algae); when El Niño interrupts the flow of the Humboldt current, keeping warm water in place around the islands, it results in many deaths. Scientists are beginning to notice indications of a coming El Niño event, which would impact the Galápagos ecosystem.